EDMONTON - The Alberta government has asked Ottawa for half a billion dollars to help with flood costs. Municipal Affairs Doug Griffiths put in the request for an advance payment and says he hopes to get it before the end of the year. Raging waters on June 20 swamped downtown Calgary and its low-lying neighbourhoods and inundated many surrounding communities. The town of High River was devastated and thousands of residents are still out of their homes. 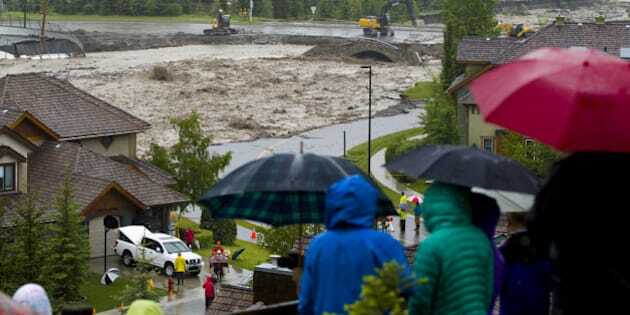 The Alberta government also gave $27 million last week to six communities that were damaged by flooding. Premier Alison Redford says the final bill for the flood will be around $5 billion.